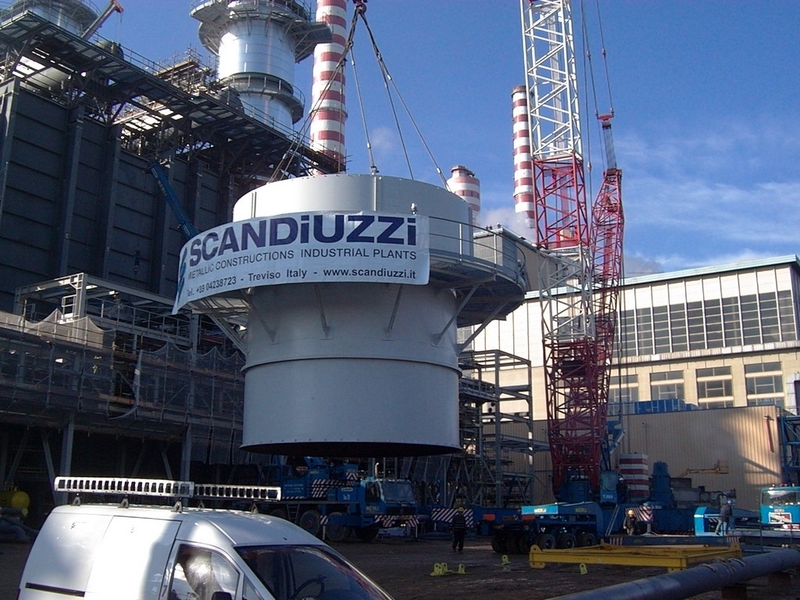 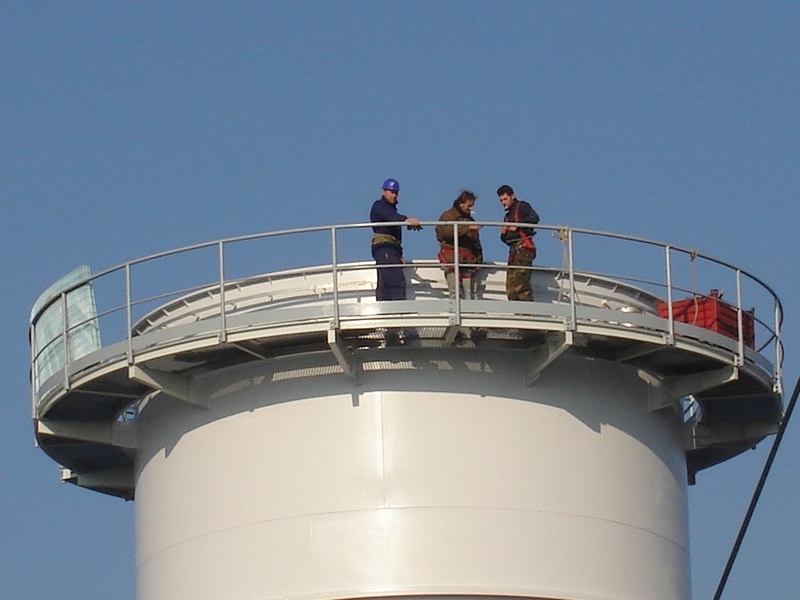 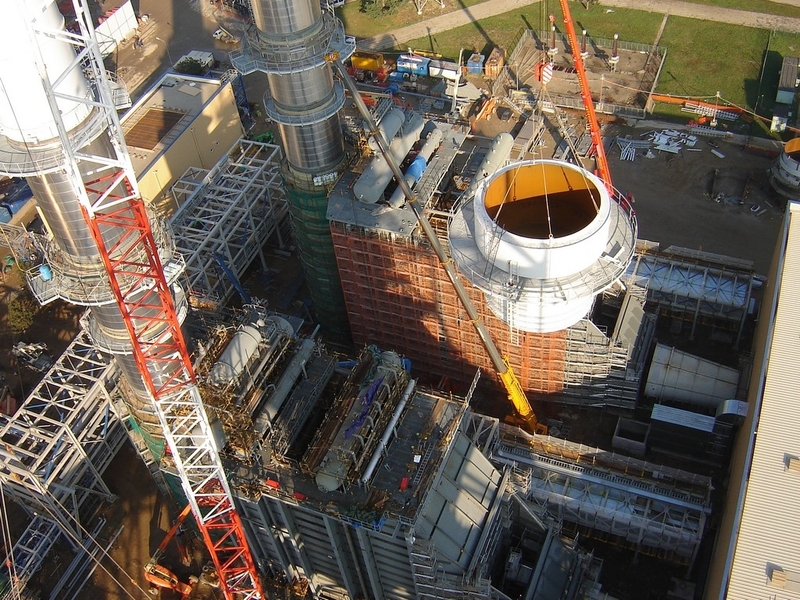 Scandiuzzi manufactures stacks and chimneys for industrial applications based on their own engineering solutions or according to customer's specifications, from the engineering process to manufacturing, transport, insulation and assembly on site. 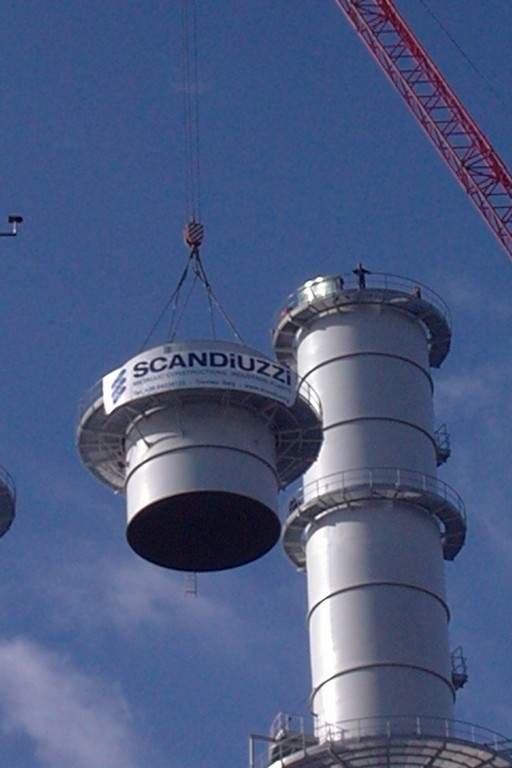 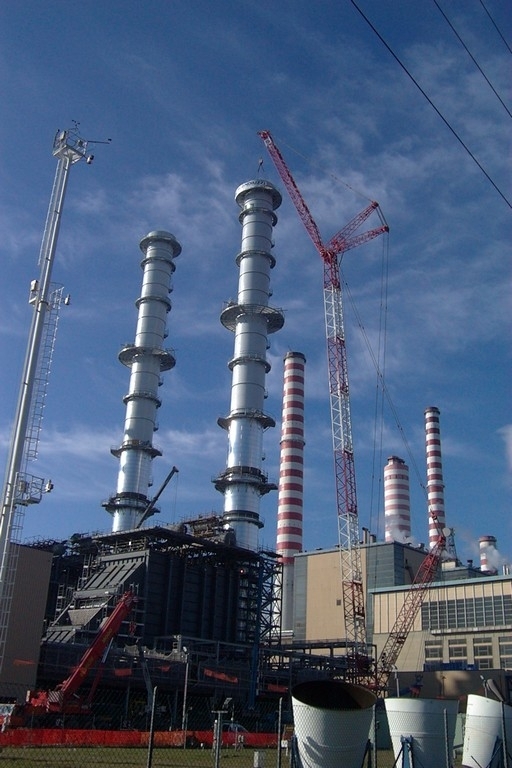 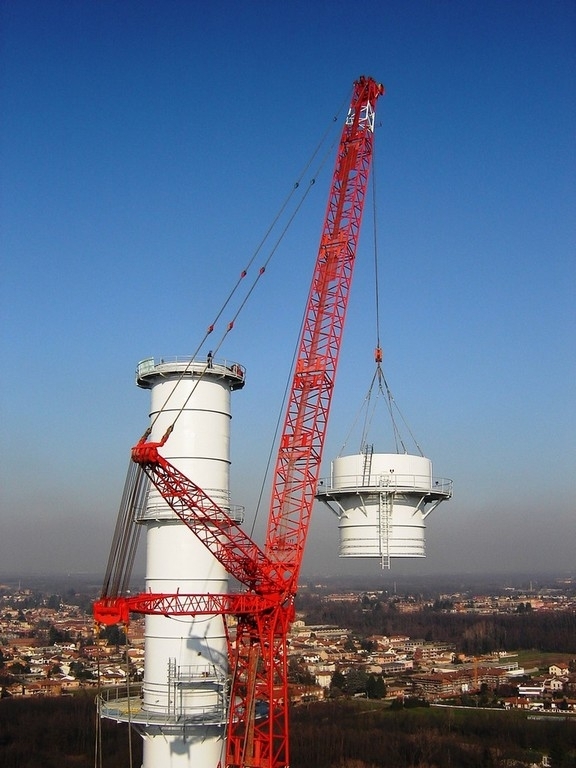 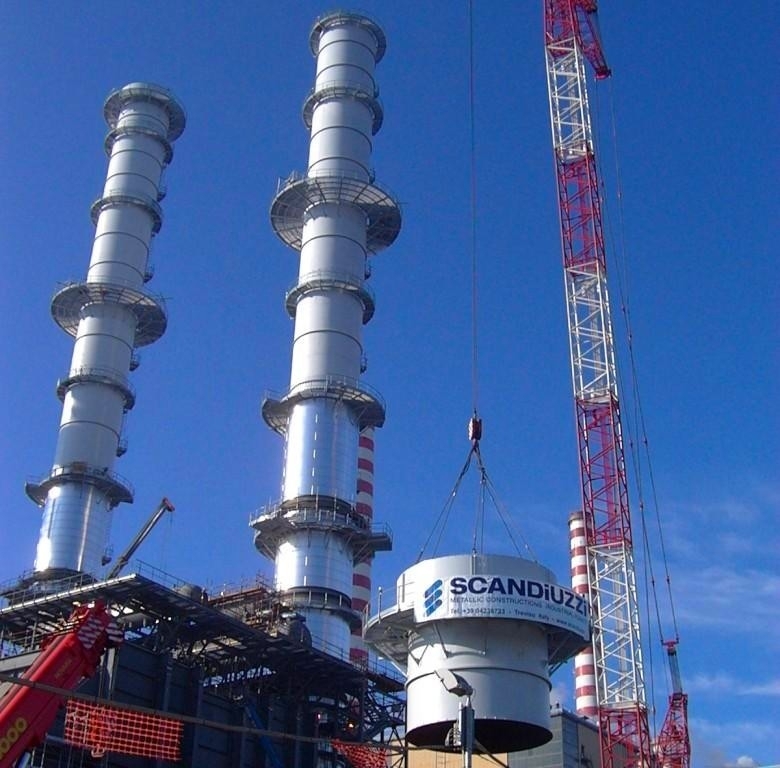 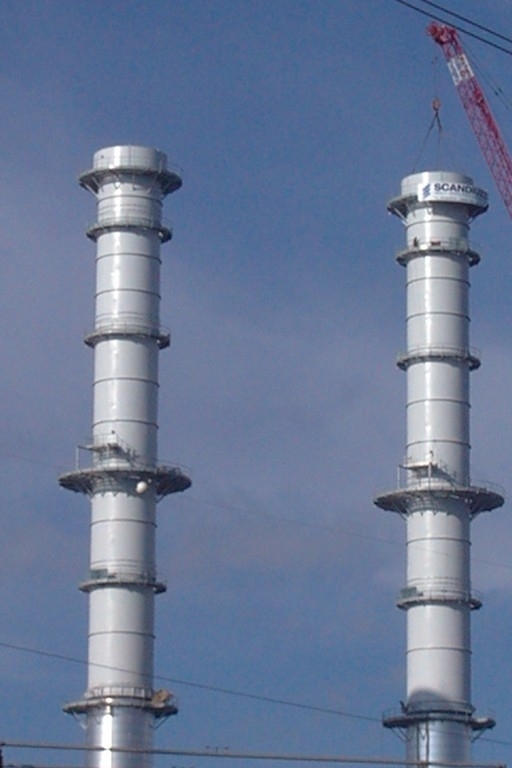 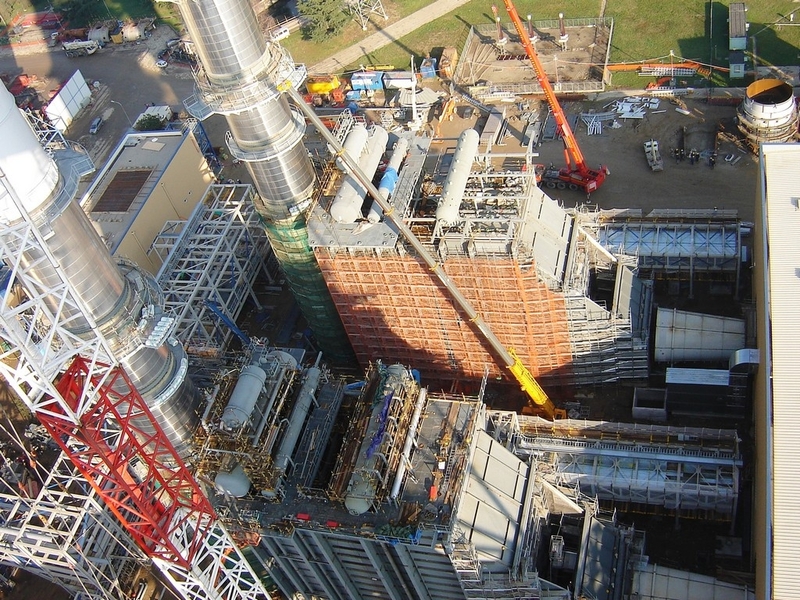 Scandiuzzi has realized the design, manufacture and assembly of two self-supporting steel chimneys of Turbigo - Milan (I) Power Station . 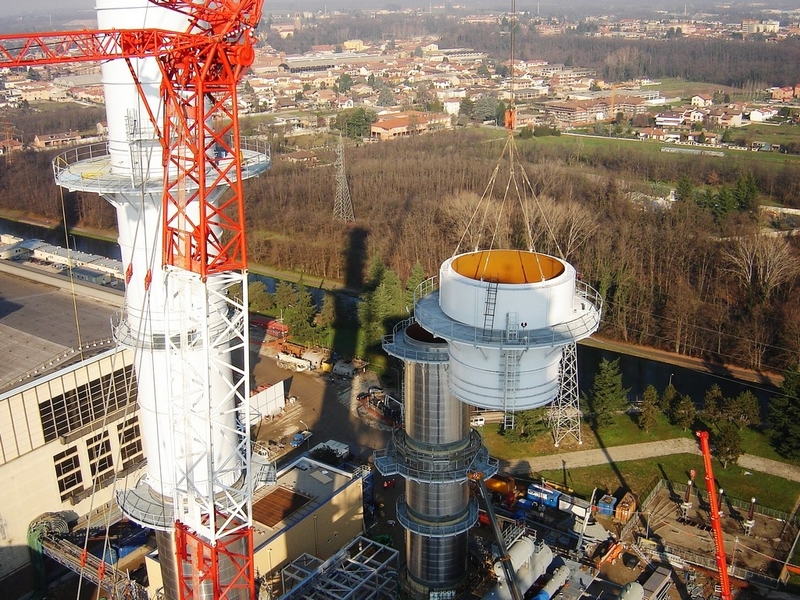 The chimneys (diam 7.500mm, 120m. 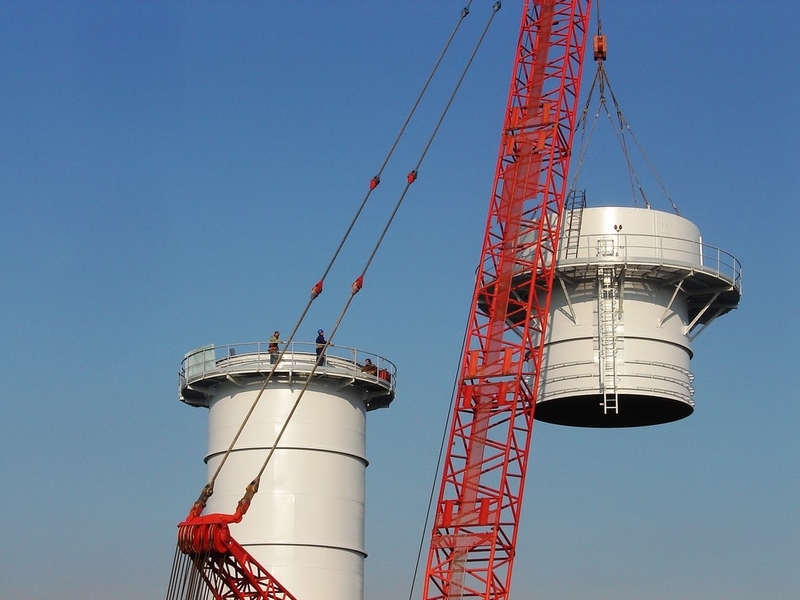 high) are equipped with a mass-dumper (shock absorber), useful for reducing vibrations induced by wind loads. 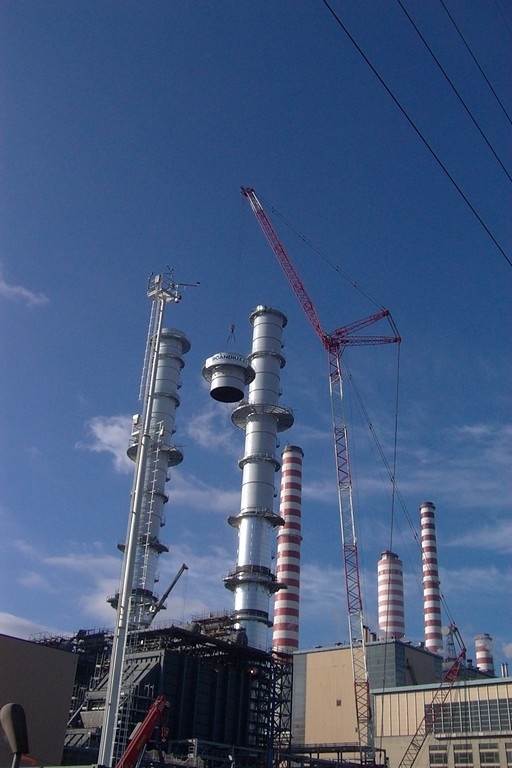 At the time of the execution of the works, they were the highest self-supporting steel chimneys built in European territory. 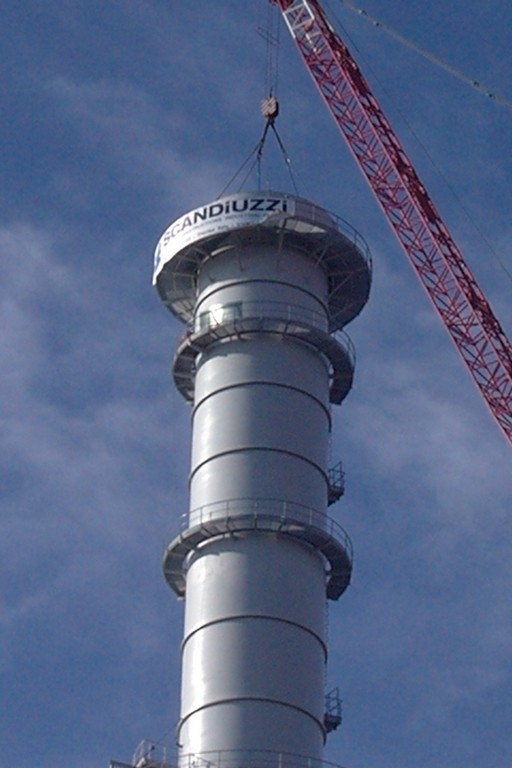 The project was published in the specialized magazine "Costruzioni Metalliche" in June 2007.